For our Celebration New Year Eve for 4 days with 13 units of our deaf members from North West, Midland and WDC at Edisford Bridge, Caravan, Clitheroe. Most of them were worried due the bad weather, some areas were flooded in North. They found no flooded in Edisford Bridge Caravan & Camping site which was lovely site and toilet, basin wash, shower – there were so cleaned and feeling so warm too! Two of our members were stayed static caravan at our site. On the evening of Wednesday 30th, they went to Edisford Bridge Pub nearby our site, that we had the social evening to chat and laugh. They played the game to research Christmas Scramble words. 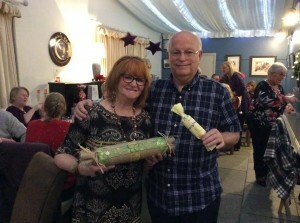 They were enjoyed with it to raise a £11.10 from Christmas Scramble words towards the funds for DCCCN. We thank them for all their support. 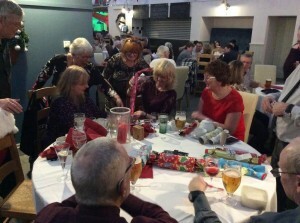 They went to Clitheroe by walking, which Clitheroe is a thriving market town with shops and eateries aplenty and is surrounded by some of the most picturesque and unspoilt Lancashire countryside to follow the evening for our Celebration New Year Eve 2016. At the Bashall Farm Restaurant is a Ribble Valley destination offering a retail outlet, coffee shop, ice cream parlour and national award winning restaurant but we went there for our three course meals Celebration New Year Eve with some organised the Christmas cracker for competition, also some raffles. Most of them bring own create make a Christmas cracker for Competition. 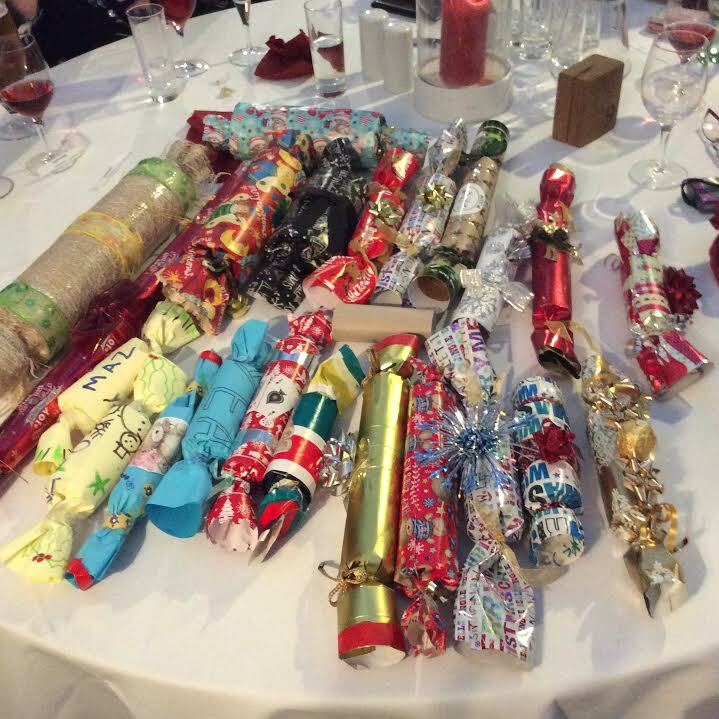 I was not expected to see many homemade Christmas cracker. There were great colour & different style of crackers. It was amazing because they together to raise the money at £69.00 towards he funds of DCCCN. The foods, we were eaten it so enjoyable then merry to dance for celebration New Year 2016! Again we all went to Clitheroe for a coffee morning by walking only 1 half miles away, at Costa then to follow the afternoon we went to Swan Pub for meals and again to follow the evening to King Arm pub for social evening. Some of them were returned to their caravanning. That day We all did enjoyedvery much with some great laughing and playing cards with some drinking! On our last day they went home safety, some of them went to WitchCraft at Pendle near Clitheroe before they went home. I thank you all for your staying with us at DCCCN Rally to celebrate New Year and some monies had raised too, and I was so enjoyed very much with you all as think you all had some brilliant time, it was really such lovely camping!